Kosovo’s prime minister refuses to lift tariffs on imports from Bosnia-Herzegovina and Serbia, despite external and internal pressure to back down. EURACTIV Serbia reports. 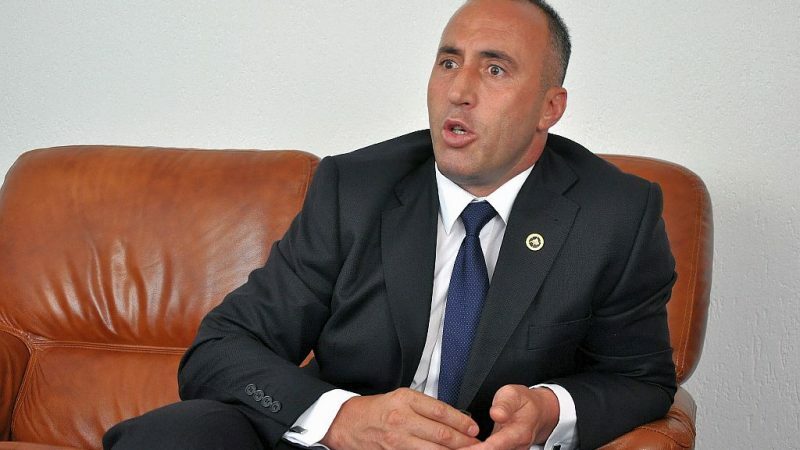 Ramush Haradinaj continues to stand firm – not even the latest in a line of senior world officials, US Ambassador to Priština Philip S. Kosnett, has managed to convince him to lift tariffs on imports from its two Balkan neighbours. The tariffs not only hamper free trade in the region but also have political weight, given the extremely complex relations between Serbia and its former province, Kosovo, which declared independence in 2008. There was speculation that Haradinaj would relent after the meeting with Kosnett and lift the taxes that are disrupting Kosovo’s relations with the US. At home, they could also lead to a collapse of the government. 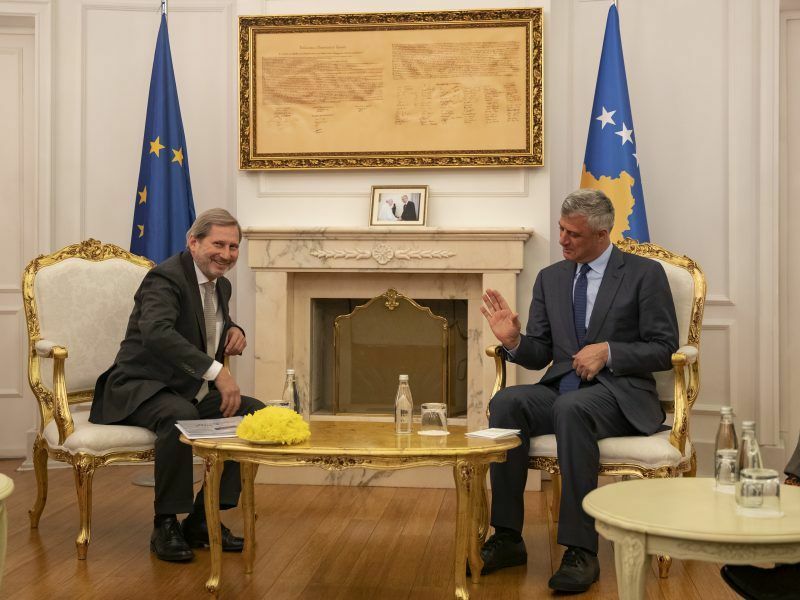 Kosovo President Hashim Thaçi has also asked Haradinaj to meet Washington’s demand and lift the tariffs, pointing out that the US has been Kosovo’s most important partner. Neither the US diplomat nor Haradinaj issued any statements right after the 22 January meeting on whether the tariffs would remain in place. After a government session on the same day, Haradinaj said that the 100% tax on Serbian and Bosnian imports would remain in force until “the mutual recognition of Kosovo and Serbia”. Serbia has staunchly refused to recognise Kosovo but will need to reach a functional bilateral arrangement with Pristina to advance its own EU membership bid. Stressing his willingness to hear out the suggestions and calls from the US and the EU to lift the tax, Haradinaj also said that such a decision “cannot be made” at this moment. “We are striving for annulment of the tax, as that has been suggested by our US allies, but we connect that decision with the reaching of a comprehensive agreement on mutual recognition with Serbia,” Haradinaj said. In November 2018, Kosovo imposed taxes on Serbian and Bosnian products, first 10% and soon afterwards 100%. The levy, contrary to the provisions of the Central European Free Trade Agreement (CEFTA) and to the spirit of the Stabilisation and Association Agreement (SAA) with the EU, was expected to be abolished quickly at the request of the international community. Since the taxes were imposed, the Serbian economy has been losing roughly €40 million per month and according to Macroeconomic Analyses and Trends magazine analysts, Serbia’s GDP in 2019 will be 0.5-0.7 percentage points lower unless the taxes on exports to Kosovo are annulled. 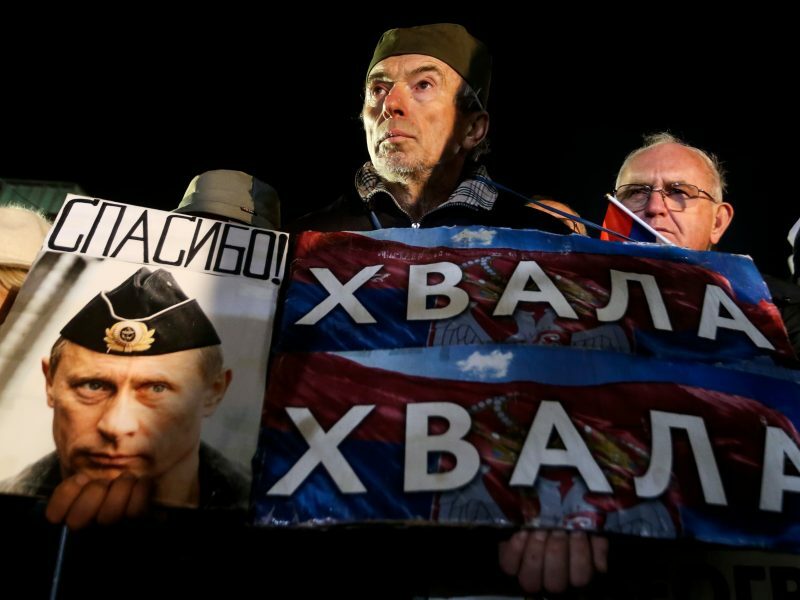 Russian President Vladimir Putin on Thursday (17 January) called for stability in the Balkans during a pageantry-filled visit to Serbia, a key Moscow ally. For EU candidate Serbia, it is vital to reach a comprehensive agreement with Kosovo, which it still considers its province, even though its independence is recognised by numerous countries, including 23 EU member states. 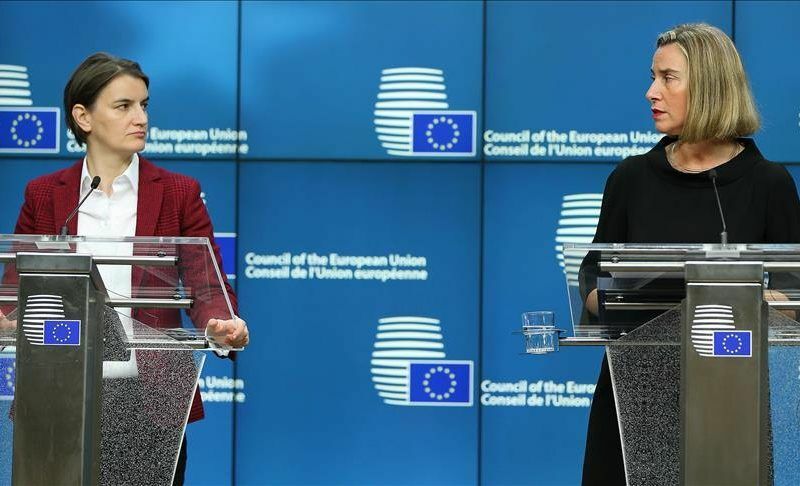 EU foreign affairs chief Federica Mogherini, Belgrade and Priština are leading negotiations with the aim of untangling the Kosovo knot. However, the dialogue faltered in mid-2018 because Kosovo failed to meet its obligations under the 2013 Brussels Agreement about forming the Community of Serb Municipalities. The dialogue was also not helped by the recent transformation of the Kosovo Security Force into an army, and after the import tariffs were imposed Belgrade said there would be no resumption of talks until Priština backed down. The EU’s position on Priština’s taxes on Serbian imports is “still clear” and the Union once again reiterates the urgency of lifting those measures, while all moves and statements incompatible with the general and strategic interests of the region must be avoided, European Commission Spokesperson Maja Kocijančič told Beta in Brussels on 19 January. In late December, US President Donald Trump urged Thaci and Serbian President Aleksandar Vučić to reach an agreement on the normalisation of relations as soon as possible and then celebrate it together at the White House. The EU described Trump’s letter as a sign of support and encouragement for the Belgrade – Priština dialogue. At the World Economic Forum in Davos, Vučić commented on Haradinaj’s latest statement on tariffs by saying that it was “bad news and a bad signal for the entire region”. On 23 January, Vučić was scheduled to meet with German Chancellor Angela Merkel, with the Kosovo tariffs among the discussion topics. Thaçi is also in Davos this week but whether he will meet officially with Vučić remains to be seen. Some opposition politicians in both Serbia and Kosovo are saying that the two should meet and negotiate in secret regardless.